Description: Brand new(circa 2006) Benelli Montefeltro 12GA with the desirable 28 inch vented rib barrel with visi sight. Benelli inertia cycle. This is the LEFT HAND version. 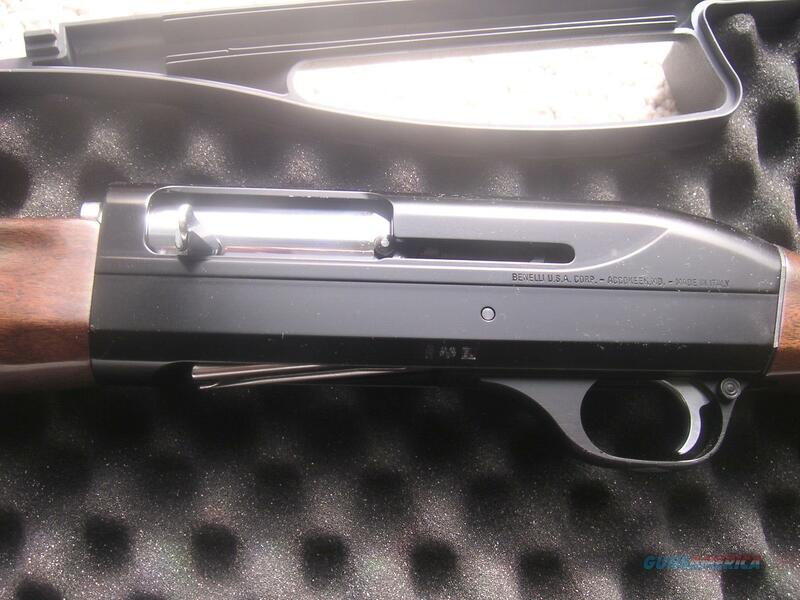 Comes with Benelli hard case, three choke tubes, manual, shims and wrench. See photo beautiful stock and fore grip. This ships FED X 3 days to a FLL only. (FLL will be verified) USPS money orders only. Buyer signs a bill of sale before I ship.